Hello everyone and welcome to The Anime Pulse: First Reaction. Today we have the second season, aka, the third installment of the K series. K is an original work that had a first season with the same letter as its title, which spawned a sequel in the form of a one hour movie, K: Missing Kings, and now we have the official second season which continues where the movie left off.. 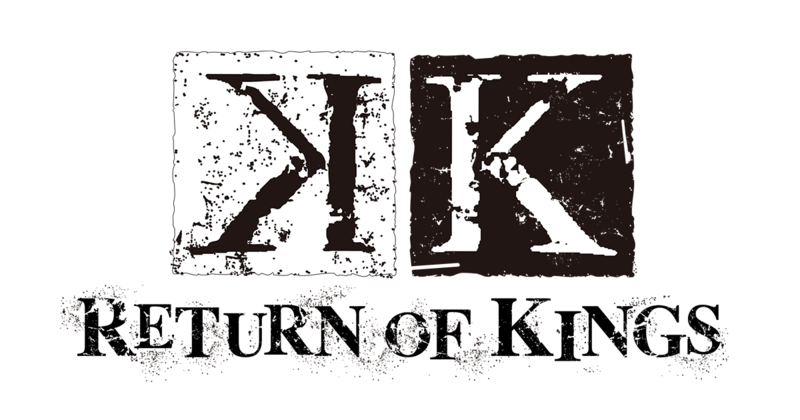 This is K: Return of Kings! Just as a warning.. If you haven’t seen the movie or the first season, there will be spoilers ahead. Please excuse me while I step away to wipe the drool away from my mouth because WOW.. the visuals on this show rivaled that of the movie! Some of the animation was absolutely fluid and gorgeous, the color choice was wide, balanced, and very vivid, the art itself was jaw dropping, and the overall feel of the show was just an absolute pleasure to look at. It seems as if the television anime received a movie level budget and it’s very rare that something like that happens, but when it does it’s either good or bad.. in this case, it’s very good. The story itself was a bit confusing when the show first started because we saw Mikoto, the former Red King, alive and well with his clan HOMRA battling Reishi, the Blue King and his clan SCEPTER4. However, we come to learn that this is just an “opening cinematic” of sorts to remind everyone about the rivalry between SCEPTER4 and HOMRA from the first season. After we are treated to an AMAZING opening sequence, we pick up the story where it left off from the movie with JUNGLE, the Green Clan, switching their target from Anna to doing their best to terrorize and annoy all of the other clans. They treat the annoyance like a video game in the fact that underlings can earn points based on how well they harass the other clans. Killing members are worth even more points and they can even gain ranks by doing so. One poor sap made it to N Rank (whatever that significance is, they never said) and then lost it all when he failed against Kuro. The ending to episode one was the EXACT same ending from the movie with Shiro aboard his ship.. same lines, same dialogue, same everything. The only difference is the scene is extended a little bit when Shiro dives off the ship and towards the ground, setting up his return, but I disliked the fact that they used the exact same cliffhanger ending to the movie for the ending to episode one. I would have loved to have seen more development than that, but oh well.. it didn’t really hurt it overall that much. We did get a bit more intrigue from JUNGLE. There are even questions on whether or not the Green King actually ordered his minions to annoy the other clans or if someone is acting on their own. I guess those questions will get answered over time. I also like how we sort of have a semi-truce happening between HOMRA and SCEPTER4 now that Anna is the new Red King. Her and Reishi had a nice moment and while the animosity is still there (come on.. you really think Yata is just going to let it go?) things seem to be calming down between the two clans, which is a good thing since they have a common enemy in the Green Clan. Not much is known about the fate of the Gold Clan since we saw Daikaku, the Gold King, pass away in the movie. We also have one clan not revealed yet as we know about Red, Blue, Green, Gold, Silver, and Colorless clans, however, the Colorless clan has no members and their King is also dead, leaving only five active known clans with one needing a new King. Maybe we’ll see the seventh clan unveiled this season? Maybe there will be a new movie or a season three? Don’t know, but I’m really happy this anime is back! YES – This anime has a very intriguing story and it takes shounen battle to a unique level. However, it is HIGHLY advised that you do not watch this series until you watch K and K: Missing Kings. The information presented to you in K: Return of Kings fully expects you to have watched the previous two entries into the series so this is not a standalone show!